Over the past five years, partners at The DNA of Cities have written a number of books, articles and reports on the inherited traits and global identity of cities. This report explains the value of a city brand in signposting what makes a a city different and communicating it essential DNA. Brands are 'stories' that drive demand to support, visit, live in, work in or invest in a city – internally and externally. The report highlights the value of intentional communication with defined audiences around the city's values, opportunities and strategy – and how this narrative is relevant and compelling. This book reviews 4,000 years of urbanisation to examine the enduring forces - such as trade, migration, war and technology - that have enabled some cities to emerge from the pack into global leadership. 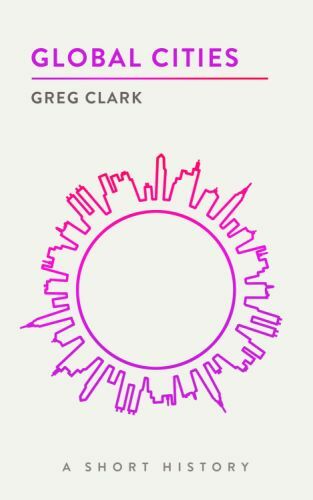 A unique historical overview, the book also looks to the future, examining the trends that are transforming cities around the world as well as the new challenges all global cities increasingly will face. This report, written in conjunction with Brookings Institution in Washington DC, reviewed the histories of 42 cities worldwide to observe the core factors that enable some cities to learn the 'vocabulary' of openness and global exchange.